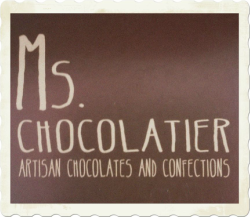 Ms. Chocolatier is committed to protecting the privacy of your personal information. Ms. Chocolatier will only use personal information provided by customers to provide information and services as requested by email, phone, mail. Below is an unsubscribe link if customer decides not to receive information by Ms. Chocolatier. Credit card information is never stored on the Ms. Chocolatier website when checking out. We will never ask for credit card information by email due to security reasons. Our privacy statement will change occasionally based on customer feedback. Thank you for visiting. From time to time our blog will have affiliate links on suggestions from recipes that are helpful in finding those ingredients or supplies.